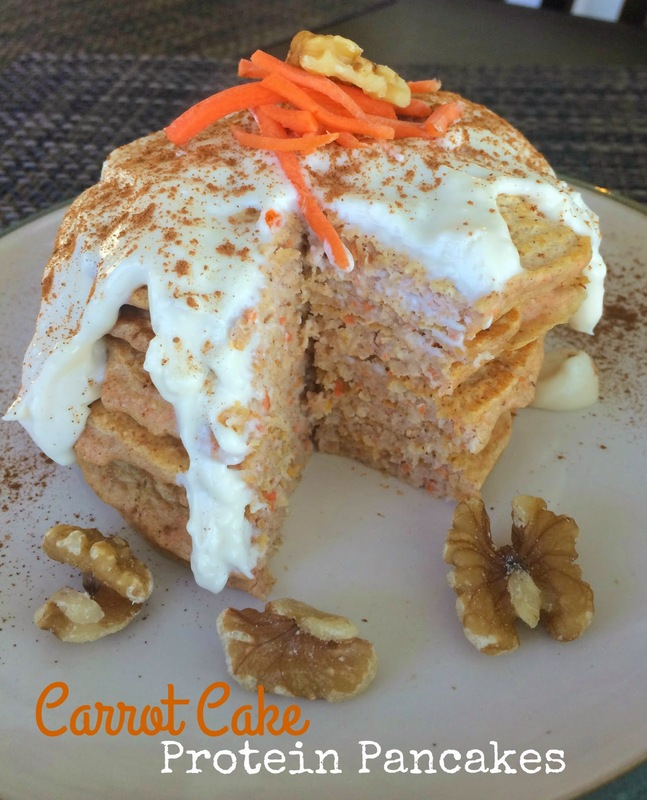 Are you worried about your waistline with the upcoming holiday season? I know I am! Sweets, pastries, and pies are my ultimate weakness. Throw in pumpkin and I'm in some serious trouble! But sometimes it's good to substitute something unhealthy with some lightened up modifications so you don't feel like you're totally depriving yourself. You'll also be more likely to stay on track if you can feel like you're eating what you want. Continuous deprivation ultimately leads to bingeing. And that's never good. So I have a solution for you! 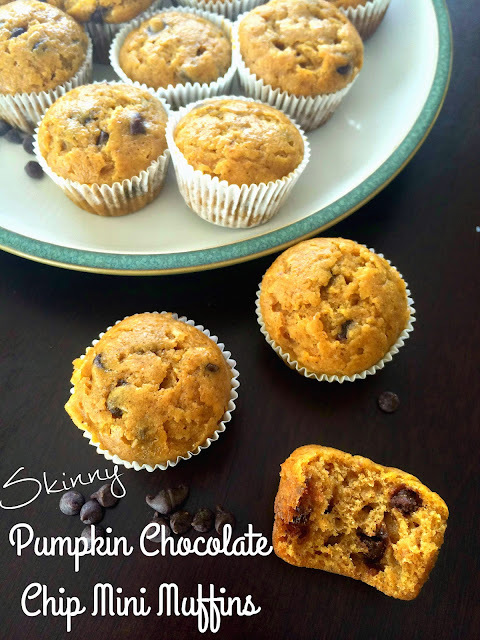 Try my skinny pumpkin chocolate chip muffins. No one will know they're healthy! They taste downright amazing. Pumpkin itself is 100% healthy. It's all the sugar, cream, flour, and butter that causes pumpkin desserts to be naughty. Made with Truvia and coconut oil, these little dudes have all the flavor of a cupcake but the nutritional content of a decently healthy breakfast treat. Or treat at any time, really. Bring them as a gift, make people feel less guilty at the office, or enjoy yourself. 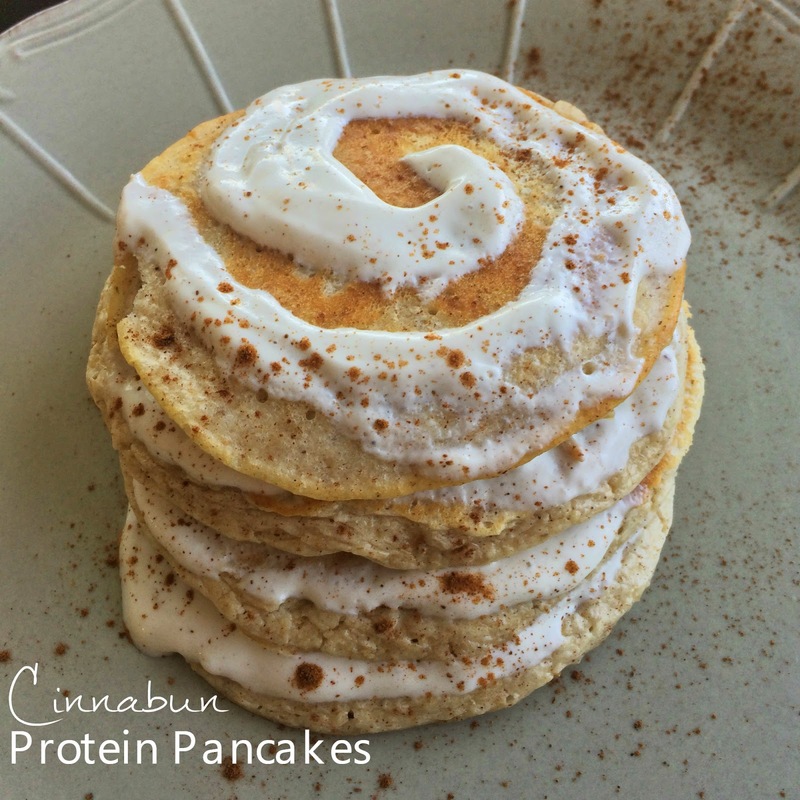 Poppable, delicious, and adorable, I know you'll enjoy these any time of the year. 1.Preheat oven to 350F. Grease a mini muffin tin (I used paper baking cups, but then realized it doesn't come off super easily so go with greasing the pan!). I also used two 12 cup muffins tins and had to bake two different sets of muffins. 2. In a large mixing bowl, combine pumpkin, Truvia, coconut oil and water. Beat together until mixed. Add in one egg at a time and beat to incorporate. Then add vanilla and mix again. 3. In a separate bowl, whisk flour, cinnamon, salt, baking powder, baking soda and pumpkin pie spice together. 4. Slowly add dry ingredients to wet and mix just until combined. Gently fold in chocolate chips. 5. Pour into prepared muffin tins. I used a spoon because the batter was a little too thick to pour and the mini tins are really small. Fill 3/4 of the way. Bake for 16 minutes or until a toothpick comes out clean. Do not overbake. The pumpkin and oil cause them to look a little underbaked, but trust me, you want them to be very moist. On to this week's recipe. This is a one dish meal which is always a plus. 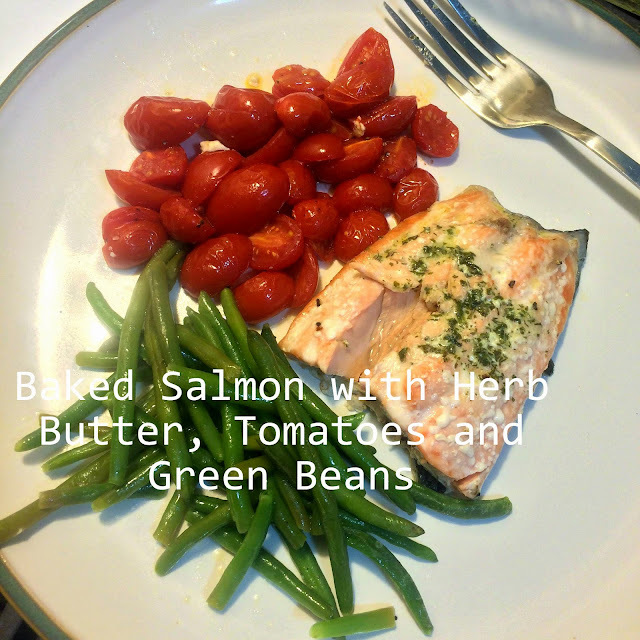 All you need is salmon, green beans (I used Trader Joe's frozen and let them thaw, but you can use fresh to skip the thawing step), cherry tomatoes, olive oil and herb butter. Maybe some salt and pepper. I bought Kerrygold Garlic and Herb butter, but you can easily make your own herb butter by mixing whatever herbs you desire into softened butter. Then line everything up neatly in a 9x13" baking dish. Top each filet with a pat of butter and drizzle olive oil over the veggies. Sprinkle salt and pepper to taste. Bake at 400 degrees for 20-25 minutes and voila. Done. The butter melts and drips down each filet, seasoning the fish and giving it a delectable buttery, herby flavor. I usually make salmon with a teriyaki type glaze, but I think I prefer this method. Preheat oven to 400F. Spray a 9x13" baking dish with cooking spray. Place full or portioned salmon filets in the middle of the dish. Line one side with the green beans and the other with the tomatoes. Place about 1 Tbsp of herb butter on each filet. Drizzle veggies with olive oil and sprinkle with salt and pepper. Toss gently to coat all veggies. Bake dish for 20-25 minutes until salmon is cooked through and flakes with a fork. I have a pumpkin recipe for you. Hint: it's not a dessert. Pumpkin, oats, and sage create a pleasant seasonal flavor. Just a handful of ingredients and you'll have dinner ready in no time. Heat olive oil in a non-stick skillet over medium heat. Add shallots and sauté for 5-6 minutes until the onions become caramely and golden brown. Add garlic, reduce heat and simmer for an additional 2-3 minutes. Set aside. In a large bowl, combine turkey, pumpkin puree, oats, egg, sage, shallot & garlic mixture, salt and pepper. Mix until combined. Avoid over mixing. Roll meat into 2" balls. Line a baking sheet with foil and lightly spray with non-stick cooking spray. Line meatballs ~1 inch apart and bake for ~20 minutes. While meatballs bake, heat sauce in a large pot over medium-low heat. Add baked meatballs and let simmer in sauce for an additional 20 minutes.